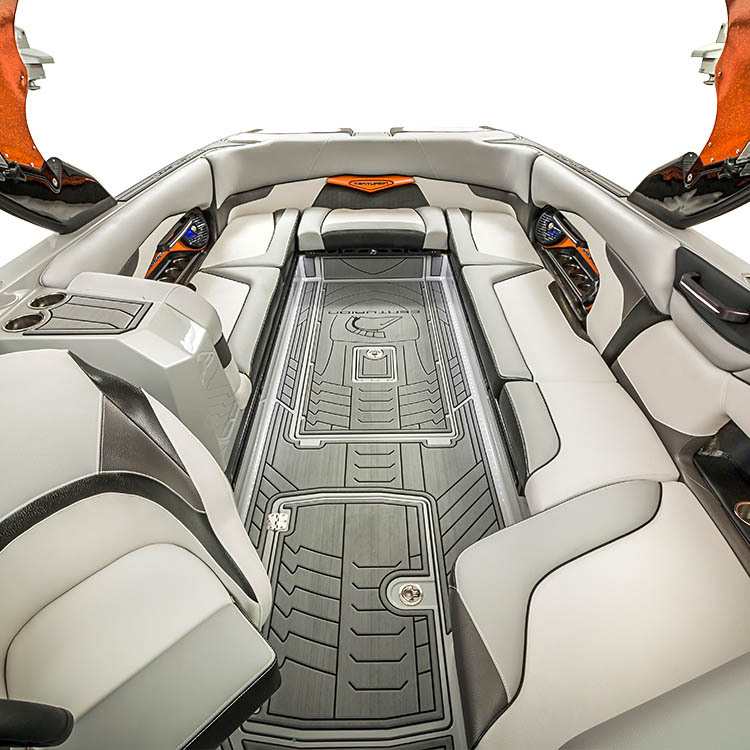 Welcome to the ultimate – the biggest, baddest, most feature – packed, best -performing surf boat ever built. The Ri257 has all of the advantages of a 26-foot boat in waves, wakes and accommodations but none of the drawbacks in handling and bow rise. 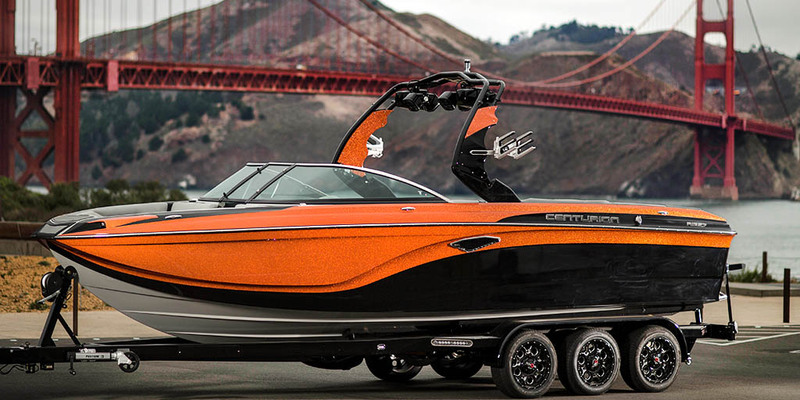 The wakesurfing waves behind this Centurion are unlike any other. 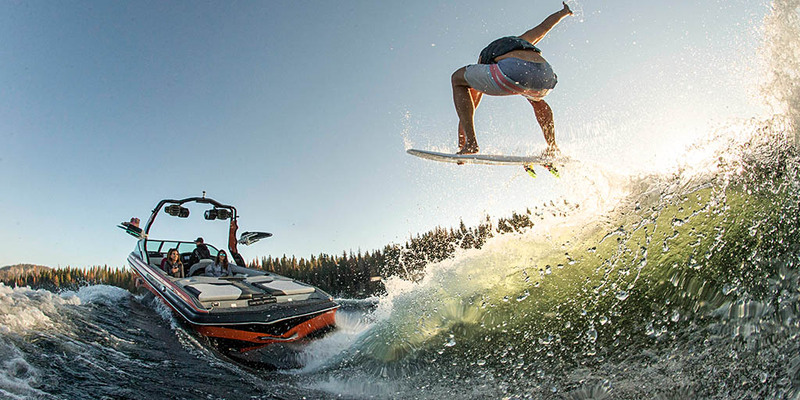 The combination of a maximum water-displacement hull design, 5550 pounds of factory ballast – the largest ever offered – and the QuickSurf Pro Surf System make the Ri257 the best wakesurfing boat ever created. 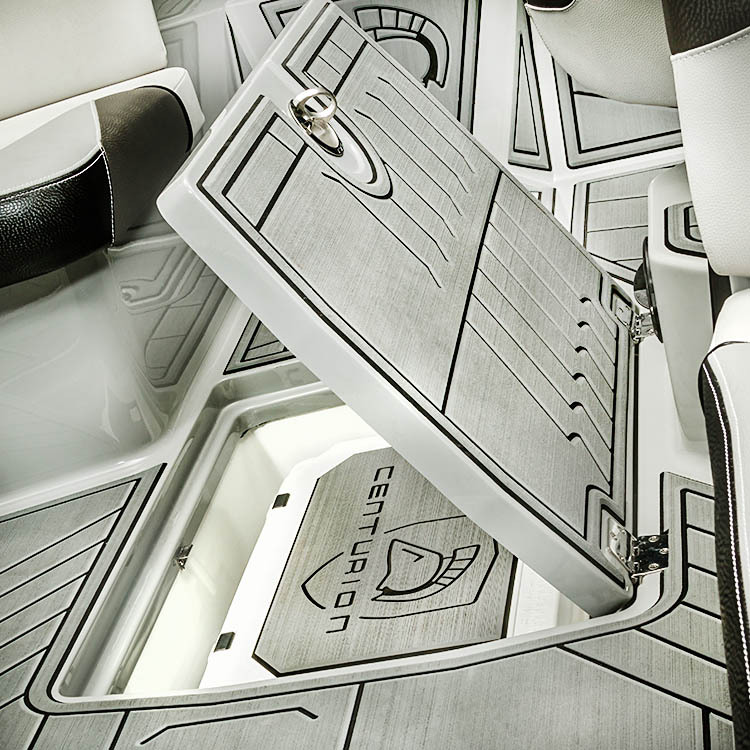 Centurion has innovated the Ri hull design to finally be able to wakeboard and wake surf at World Class levels behind the same boat. 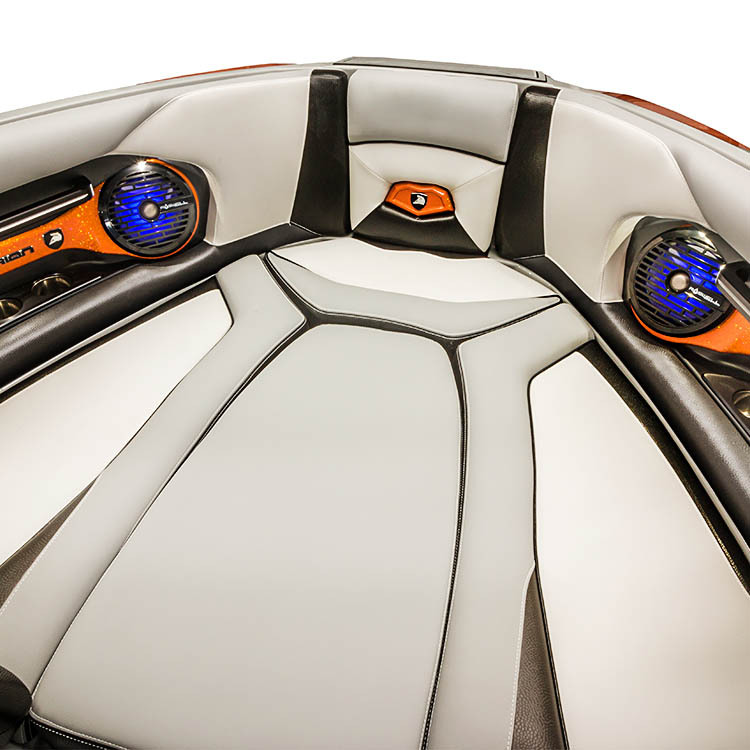 On the inside, the Ri257 offers storage to accommodate an 18-person crowd along with flexible seating configurations and the deepest freeboard of any towboat – of any size, in any class – making splashes and bow shots a thing of the past. The Centurion Slide Seat offers 4 different seat positions with available independent leanbacks and a removable table. The Ri257 comes standard with a 41-quart Grizzly cooler branded with interior matching GatorStep non-skid – giving this boat the largest available cooler space of any towboat. The comfort of the Ri257 continues with the Opti-V Hull that handles even the roughest water while an (optional) oversized rudder, the Centurion Articulating Tracking System (CATS), and rack and pinion steering make handling feel like you are driving a much smaller boat. With a full 92 gallon fuel capacity, the Ri257 is ready for your most epic Lake Powell adventure. The Centurion Ri257 is truly something you need to experience to believe. 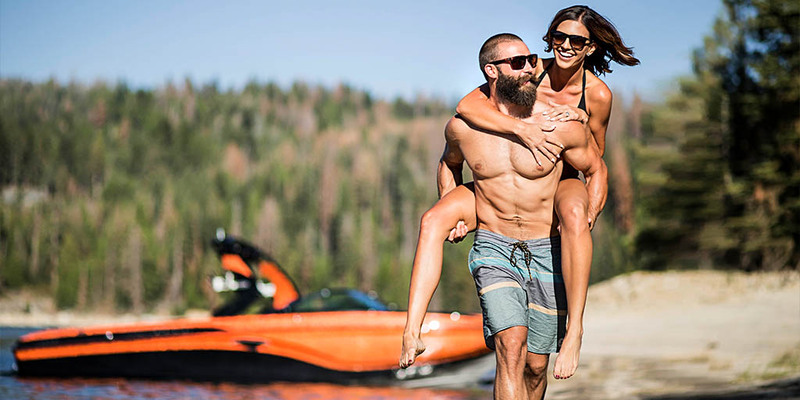 In every way, the most impressive surf boat ever created, the Ri257 will exceed all expectations and take your lake life to a whole new level. Grab your shorts and let’s go take a surf set behind the Ri257! 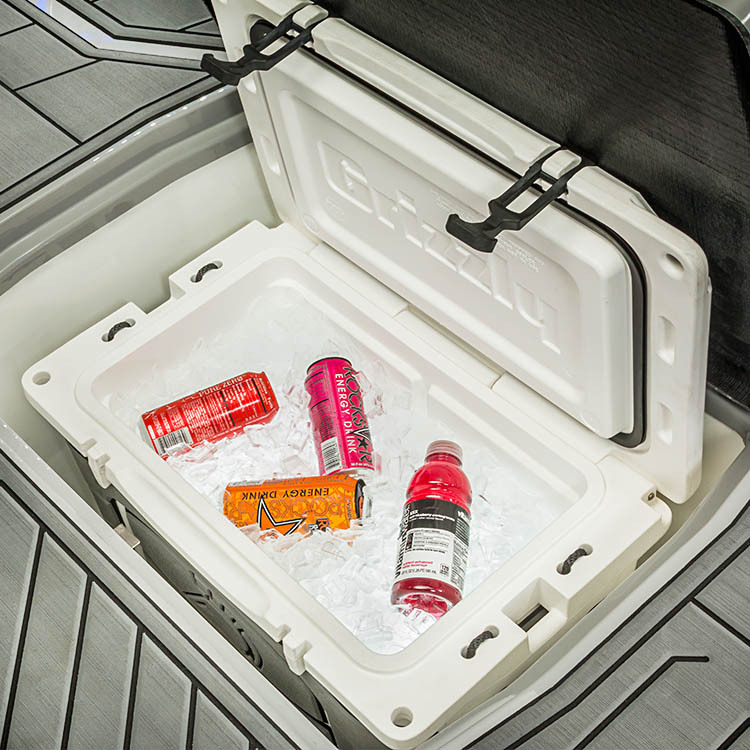 The Ri257 features a massive 41 quart Grizzly insulated cooler in the floor that will keep all your drinks and goodies ice cold for a long, long time. The Ri257 features an all new hull profile that maintains the legendary surf performance while reducing drag – allowing this monstrous boat to drive and handle like a sports car. It floats like a butterfly but stings like a bee. With room for 18 passengers and over 5,500 lbs. of ballast, the Ri257 is ready to load up the whole crew and then some. Your adventure just got that much more legendary. The Centurion Ri257 pushes out the longest wakesurf waves ever offered with the ability to easily change their size and shape in seconds. Quickly shift from a mellow skim wave (smooth with a rounded face for boards with smaller fins) to a huge surf style barrel (steep wave with a sharp lip ideal for boards with deeper fins). 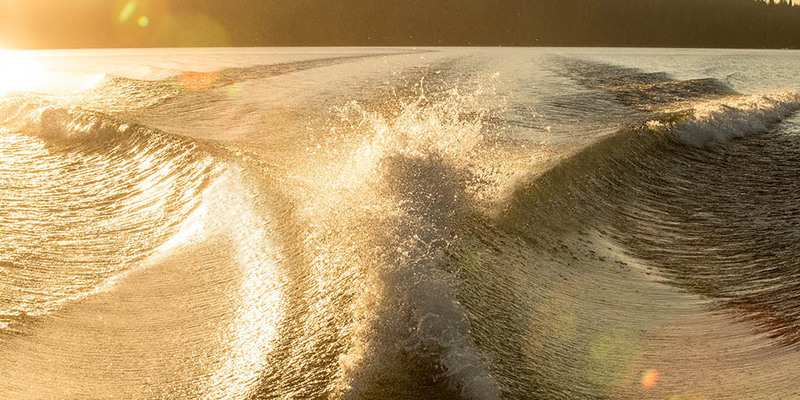 The Ri257 is designed to deliver the ideal surf wave for everyone on the boat – regardless of their preference. 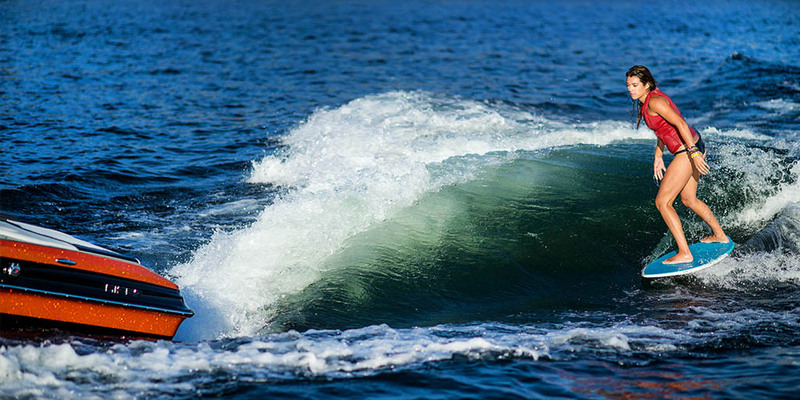 The Ri257 delivers clean, smooth wakeboard wakes both when empty or fully loaded with ballast. 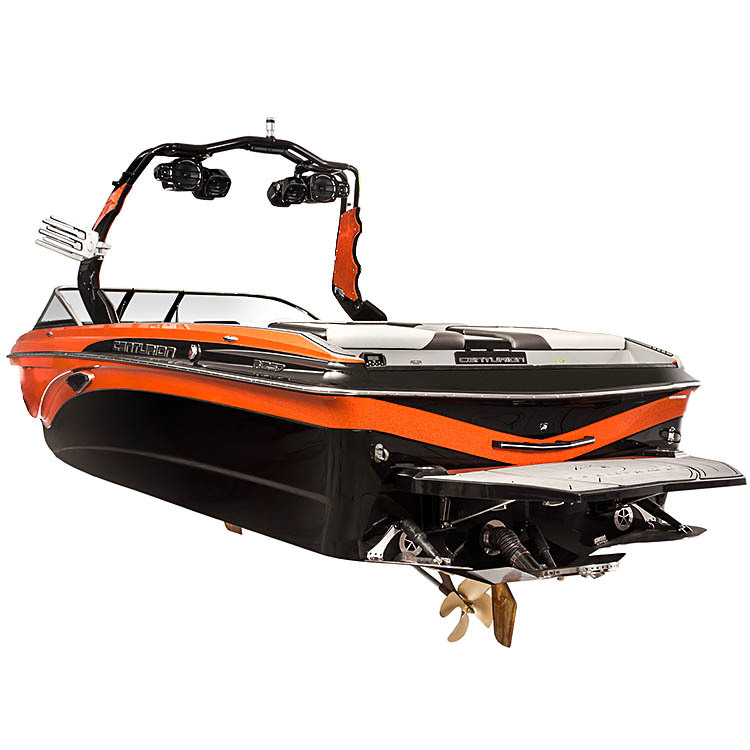 With the exclusive Stinger Plate system you are able to change the wakeboard wake from a mellow hump for kids and beginners to an aggressive launch ramp that will please even the most demanding pro riders. 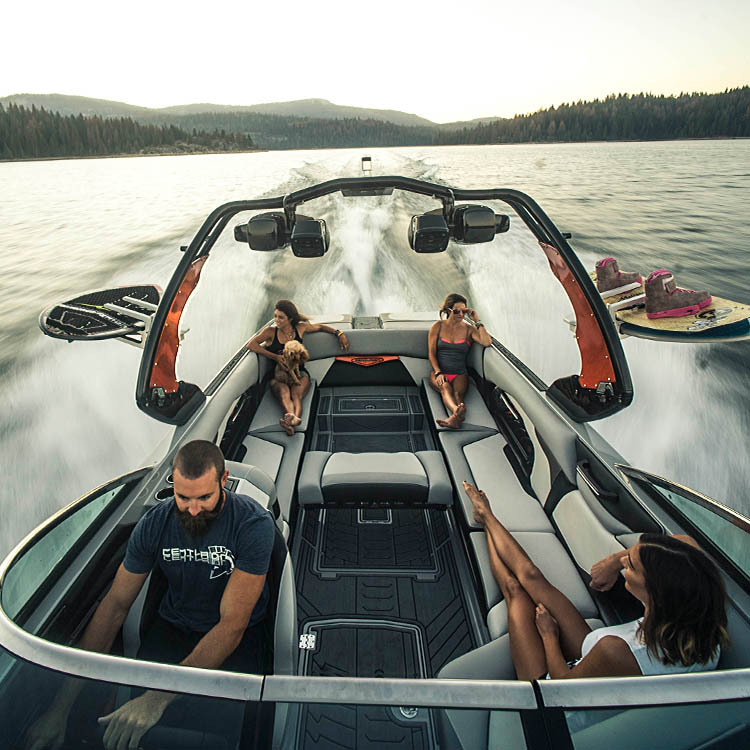 With Centurion’s exclusive CATS system, a wake can be made clean and smooth going as slowly as 14 mph and giving you the ideal platform for progressing new tricks or for kids learning to jump the wake. The Ri257 comes standard with a triple axle trailer, 18″ wheels and a HD suspension. 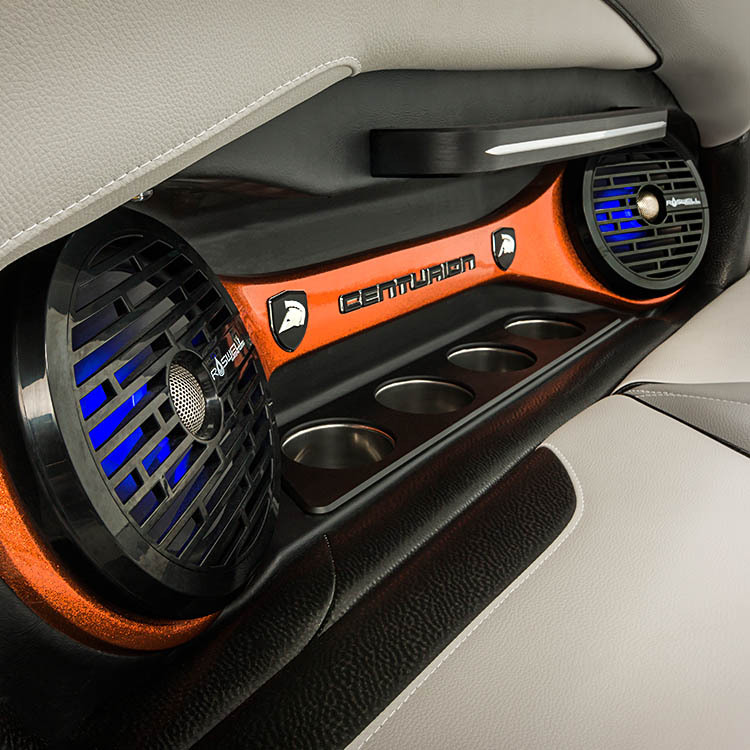 Roll to and from the lake in style while having the boat tow silky smooth. The Ri257 is truly something you need to experience to believe. Come see us to check out the most amazing surf boat in the world. If you want to experience it on the water, we are more than happy to go (as long as we get to take a set). Bring your suit; we’ll provide the wave.